LWE’s Curator’s Cuts podcast series features our reviewing staff mixing together recent favorites and providing explanations for their selections. 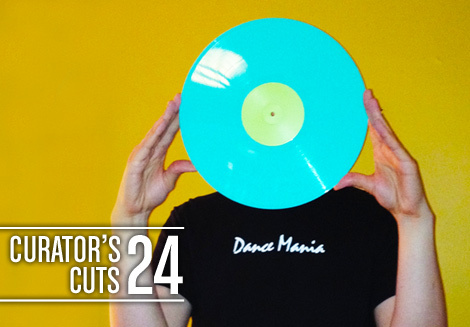 LWE staff writer Kuri Kondrak compiled Curator’s Cuts 24. We will post the tracklist later in the week, as the curator discloses and describes the tracklist as part of the podcast. I love the closing touch at the end of the first hour of the podcast, I wasn’t sure if i was listening to a track or not. Wow, justifying curator status beyond doubt! Background aerial tracks when you speak about your tracklist create such a special atmosphere ! Thanks. I dig this the most. I would be able to follow these much more easily if, during the tracklist explanation, we could hear each track at low volume while it’s being described. I find it very hard to remember which track is which after hearing such long sets. The tracklist will be posted tomorrow, FYI. It’s not so much about knowing the name of the tracks on the podcast but remembering what bassline is being referenced or which synth line is being praised. Even a short clip of each track before the description would be enough to jog my memory. There’s a bit of trainwrecking with the nice ambient background, but you get the idea. I understand it’s significant extra work, but it would add a lot to my enjoyment of the curation. Really liking this so far. Have just reached the Springboard – Be My Man track, so good. i can’t stop listening to this. you know more music than i ever will. totally OK with that. beautiful mix man. Fantastic curation Kuri. Really enjoyed listening to it from start to finish. Now that the TL is up, i’ll go through it again. Yep enjoyed this one too, so many great moments of mixing! And excellent choices on the 2 background tracks indeed: really itching now to get my hands on that Zenith album. you must like prosumer, don’t you?